We do try to be cutting-edge here at Jester Harley's. To that end, I am pleased to welcome our first fanfiction-writing guest. Take it away, Julie C. Gilbert! Hi, Thanks for having me, Anne. 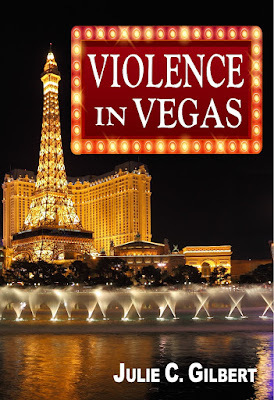 Today, I’d like to tell you about my book, Violence in Vegas – a Lei Crime Kindle Worlds Novella. It features FBI Special Agent Marcella Scott, who is not a character I came up with. That said, I have a weakness for writing FBI agents. This is true in my Heartfelt Cases series (Christian Mystery) as well as most of my Kindle Worlds stories, six of which are Lei Crime and one that’s in the Sydney Rye Kindle World. Aside - What is Kindle Worlds? Kindle Worlds is Amazon’s idea of officially licensing fanfiction. Basically, you find a world you like and write a story with one of the characters created by the original author. Then, you split the royalties with the author of that world. I’d originally set out to write about many different characters in the Lei Crime Series, so I started the Defining Moments Series. However, Defining Moments II turned into Shadow Council #1 because I fell in love with writing Marcella Scott. She was just a ton of fun with her love of fancy shoes, her lovable partner, and her need to dodge her mother’s matchmaking efforts. The Shadow Council series grew to 4 books which had her pitted against bank robbers, corrupt politicians, and crazy people from her past. I thought the poor lady needed a vacation. She wound up in Vegas to help a friend with an unofficial sabotage case. Since trouble follows her like a magnet, she ran into mayhem, of course. Thanks for stopping by and listening. But Marcella Scott’s in town to help Angela Melkin-Pierce with a small case of sabotage. Somebody’s been slashing guests’ tires and ransacking rooms at The Grand Game Hotel. With the guest list including the Reno Birdwatcher’s Society and the Paradise Quilting Club, the suspect list is very thin. The only intriguing option is Gatton Technologies, headed by eccentric billionaire, Jeffrey Gatton. When he decides to host a masquerade party at the hotel, Marcella goes undercover. The air of elegance quickly turns to terror when masked men kidnap Gatton and Angela. 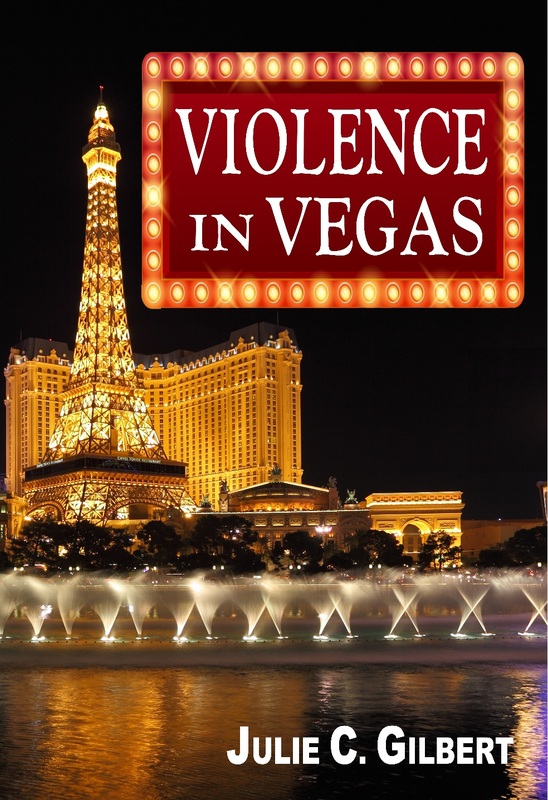 Marcella’s going to need all of her wits—and a borrowed handgun or two—if she wants to survive the violence in Vegas. Grab your copy of Violence in Vegas today, or start at the beginning of Marcella’s adventures (Shadow Council #1: Money Makes it Deadlier). When you finish with that, Rescue in Reno should be ready for you. You can visit Julie C. Wilson on her Website and learn how to get a free scifi or mystery book. You can also find her on Facebook.